On Monday Night Football, the San Francisco 49ers take on the Green Bay Packers in a big week 6 NFC matchup. It's been a rough start for both teams, to varying extents. The Niners lost their QB of the future in Jimmy Garoppolo and look a lot like the Niners we saw at the beginning of last season. For the Packers, a 2-2-1 start probably isn't the end of the world and they have a nice chance to go over .500 in a winnable spot here, but it's hard to find anyone who is terribly excited about them. Who can get the upper hand on MNF? The Packers are also dealing with QB issues, though their main-man is still in there. Still, Aaron Rodgers hasn't resembled his vintage self with a banged-up knee. Against Detroit in a rough 31-23 loss last Sunday, we saw Rodgers not looking himself. And the fortunes and form of the Packers ride heavily with him and how close to his peak he is. This could maybe get smoothed out, and Rodgers either feels better or as they find a way to better-camouflage his issues, but suffice to say they don't look that great with a win over Buffalo being their only triumph of the last four games. The issues with the 49ers are no less-severe. Garoppolo was supposed to be the savior, as we all know the bygone storyline by now. That's how the Niners got booked for so many of these spotlight games, something that the NFL wishes it could now take back. The Niners have been scrappy, but after losing badly to the Cardinals last week, one wonders how everything will shake out as the dust settles from the Garoppolo injury. The issue with CJ Beathard is multifold. In a sense, he is better than last season and throwing for 647 yards in two games with Garoppolo out attests to that. But in this league, where the QB position is so critical, it really shines through when a QB is not up-to-snuff. Beathard has some upside and is capable of making plays. But it's probably fair to say that he doesn't cut it as far as being an NFL starter. And that's something that's hard to hide. One thing he might be able to do is cut down on his mistakes, having thrown more picks than TD passes in his brief NFL career. The Niners do have some weapons to deploy on offense. Whether it's going to be enough is another issue. TE George Kittle is forming into a real handful. Matt Breida is turning some heads this season at running back. Throw in guys like Alfred Morris, Dante Pettis, Trent Taylor, fullback Kyle Jusczyk, and Pierre Garcon, you see there are indeed weapons. With a line that isn't what it once was and a QB trying to find his bearings, it puts them squarely behind the 8-ball. One should expect the Niners to continue competing and maybe even start playing well at some point, there is no denying that with the 1-4 mark and Garoppolo out of the picture, the first third of the season has gone awfully for them. A San Fran defense that has a lot of upside could be their saving grace, though it's a longshot. To be fair though, there are ample up-and-comers on this defense. Guys like Solomon Thomas and Rueben Foster are future all-pros. DeForest Buckner is getting after QBs and S Jaquiski Tartt really gets after it. This season, we have seen potential start to manifest with results and despite some uneven offensive play, the defense has been pretty solid. They could be more-clutch as they tend to evaporate a little bit in the heat of the moment. Despite Rodgers' issues, he's still been decent through the air with ten TDs and just one pick. The lack of a substantive run-game continues to be an issue, though getting Aaron Jones rolling could help. With Randall Cobb apparently slipping, we see more of Davante Adams, who has cemented himself as receiver number-one, with Geronimo Allison, TE Jimmy Graham, and rookies Marquez Valdes-Scantling and Equanimeous St. Brown getting more looks. Again, so much depends on a healthy Rodgers, whose legs have been a big part of his success since coming into the league. The Green Bay defense has actually been pretty good this season. The secondary has been rigid, while also making a lot of plays. It's good to see safety Ha Ha Clinton-Dix getting back into his playmaking swing, as he already has three picks. Blake Martinez and Kyler Fackrell are getting after opposing quarterbacks. They didn't perform well against Detroit last week, but look for them to do well at home this week. This is a tough MNF spot for the Niners. At the same time, it's a spot where not a lot of people will be optimistic, meaning there could be some inherent value hidden within. After all, this is not what one would consider a vintage Packers bunch, especially with Rodgers so compromised and it not seeming to get all that much better. I see the Niners hanging in there and covering the spread. 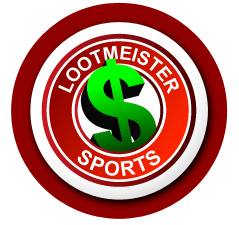 Loot's Prediction to Cover the Point Spread: I'm betting on the San Francisco 49ers plus 9.5 points. Bet the San Francisco vs. Green Bay MNF game for FREE by taking advantage of a massive 100% sign-up bonus on your first deposit of $100 to $500 at GTBets!